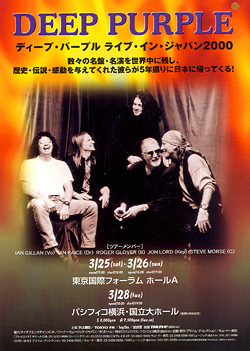 Description: 8x11 BW Dangerous Toys Japanese 2001 concert handbill. Description: 5x9 Arminski Day-glow Dave Matthews Band 1995 concert handbill. 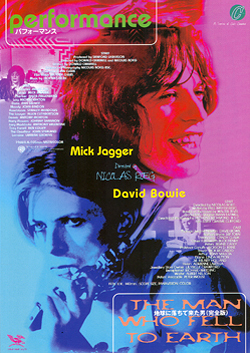 Description: 5x9 full color Deep Purple / Status Quo 2005 concert handbill. 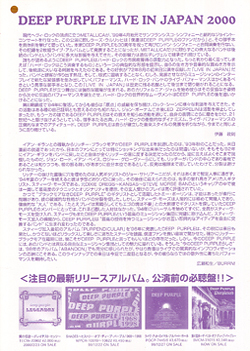 Description: 7x9 full color Deep Purple 2000 Japanese concert handbill. Description: 3x9 Deftones / Megadeth / Kenny Wayne Shepherd 1995 Dallas Texas Handbill. 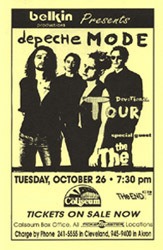 Description: 5x7 two color Depeche Mode 1994 concert handbill. 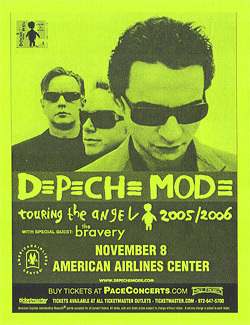 Description: 4x5 two color Depeche Mode 2005 concert handbill. 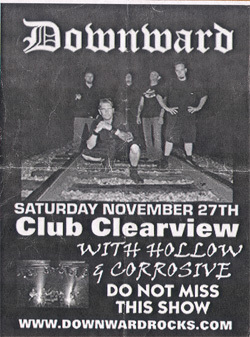 Description: 4x5 BW Downward concert handbill. 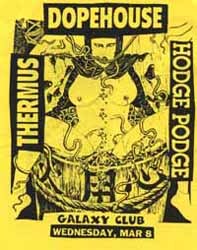 Description: 4x5 Dopehouse 1994 concert handbill. 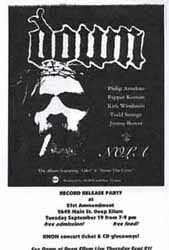 Description: 5x7 Down record release party flyer. Description: 4x5 D.R.I. 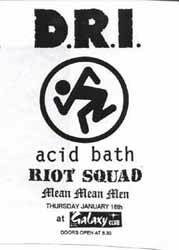 1993 concert handbill. 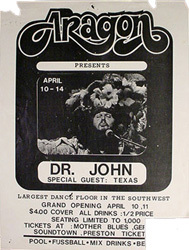 Description: 8x11 Dr. John 1975 concert handbill.